What has been your career progression thus far? I started out training under a sales team who helped me learn the basics of the job. When my mentor moved to another position, I took over his role and book of business. Based on SoftwareONE’s training, I helped my outside reps hit over $1,000,000 in profit each year with the company. Recently, I’ve been helping with training in our Waukesha, Dallas, and Madrid offices. 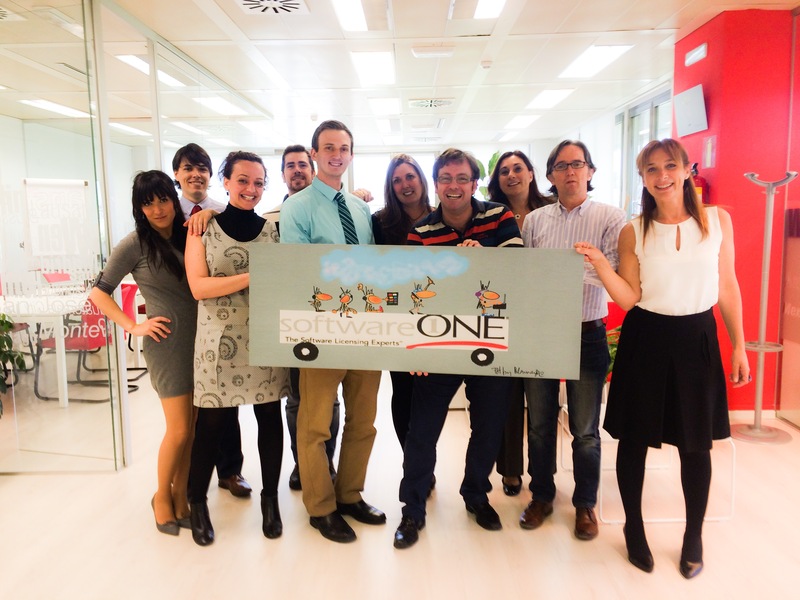 Here is James posing with SoftwareONE’s Spain team in Madrid! Favorite part about working at SWO: Our management is very down to Earth – They sit among their teams instead of tucked away into corner offices, and they genuinely appreciate feedback. The managers are always open to change when my team finds a more efficient, more productive, or more fun way to do our jobs. I was looking for a job where I could meet new people and travel to new places. Management understood that and helped me go to Puerto Rico, Las Vegas, Atlanta, Dallas, & Spain all for work. Biggest challenge you’ve faced at SWO: The industry is always changing. I’m the kind of person who loves trying new foods, new languages, new places… but the changes can be exhausting if you’re not used to them. What is a typical day like for you? : I grab some free fruit and juice right when I come in the office and hop on a call with my outside reps to prep for the day. Then my day could go in a million directions – Today I was on a call today with employees from Spain, Argentina, Mexico and Peru. Other days are all about getting creative on customer proposals. What activities do you enjoy in your spare time? Going to concerts, camping, and people watching. 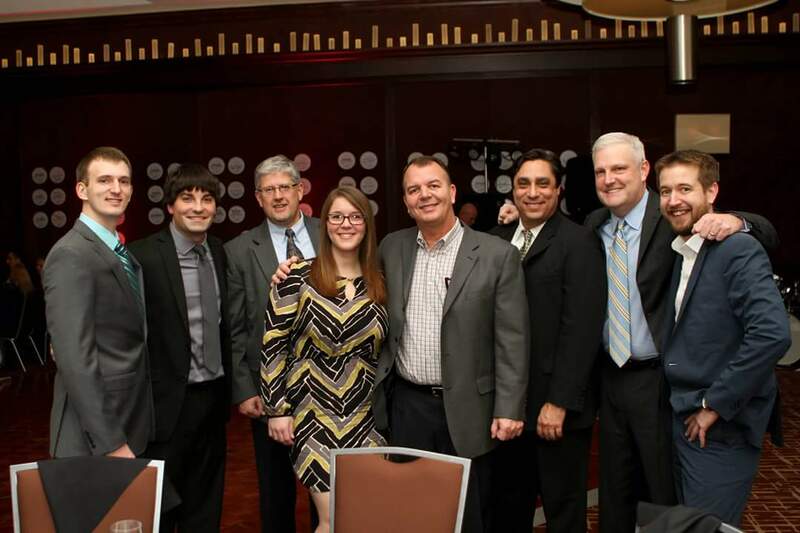 James & some of his favorite co-workers at the 2015 National Sales Kickoff in Milwaukee, WI. Where do you see yourself in 5 years? I want to move and grow with the company. We have so many locations and different roles today that didn’t exist when I started, so I see myself in a completely new position in 5 years. Advice to people interested in a SWO Career: Interviewing with any company gives you a very limited view of the culture. Come check us out at career fairs, get to know us outside of the interview process, email or LinkedIn message one of us to really see if it’s a good fit. Want to see the world with SoftwareONE? Visit SWO Career Page to start your adventure!